Andrew was signed as a free agent by the Lions in May of 2018. 2018: Andrew beat the odds as an undrafted free agent and exited training camp with a spot on the Lions’ practice roster. The Gannon University alum patiently waited for his opportunity and he got his first chance to play in October. 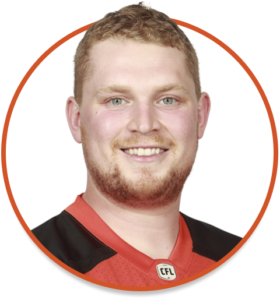 Injuries sidelined Cody Husband and Peter Godber, clearing the path for Andrew to make his CFL debut on October 6 against the Toronto Argonauts. 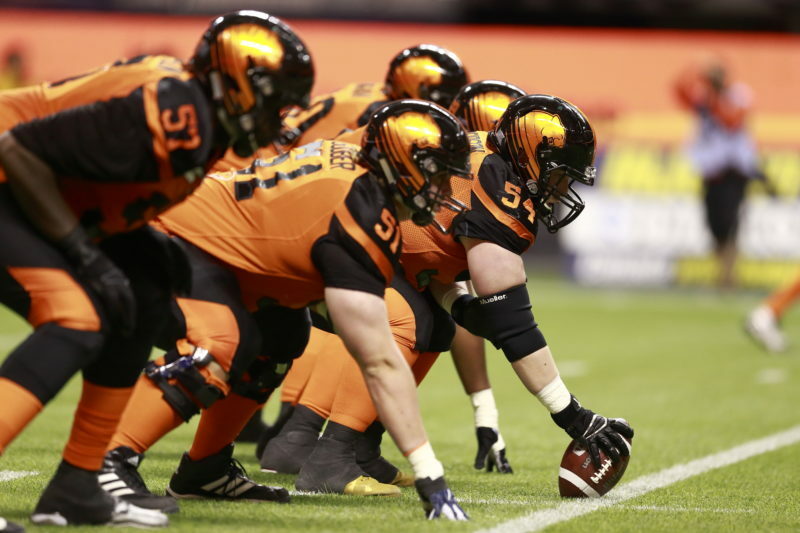 He started at centre during the last five games of the regular season for the Leos and earned the start for the East Division Semi-Final against the Hamilton Tiger-Cats. 2014-2017: Andrew appeared in 29 games over his four-year career at Gannon University, The Kingston native made nine starts as a junior in 2016. A gifted student, Andrew earned multiple Division II academic awards and a Pennsylvania State Athletic Conference scholar athlete award in 2015. Andrew was an excellent student at Gannon University, exiting with a double major in Finance and Entrepreneurship. His most memorable moment on the football field was winning the Kingston Area Secondary Schools Athletic Association Football Championship when he was in grade 10. Andrew lists the Lion King as his favourite film and enjoys watching Netflix marathons of The Office. He grew up a big fan of the Montreal Canadiens.